The Last day of Row by Row is September 8th. Row by Row has been exciting for us this year so far! 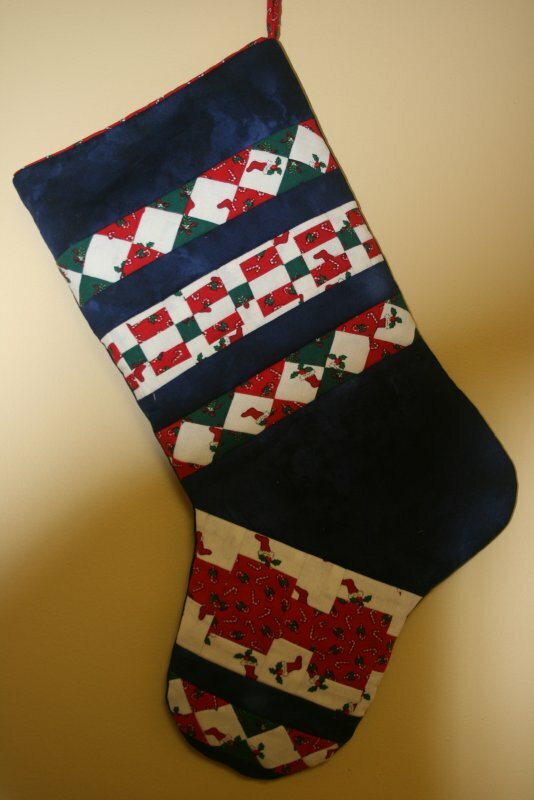 I hope that all of you, that are participating are enjoying yourselves and the shops you are visiting! 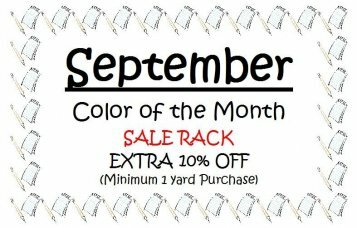 We have some great specials each week. 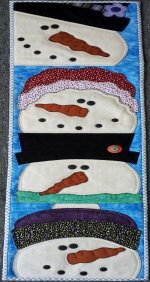 Come in and get your FREE Snowman Fun pattern, that will melt your heart. 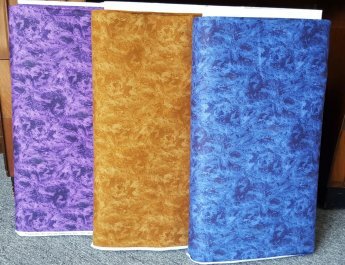 Our kits are available for purchase and are just like our sample. They even include the button pack! 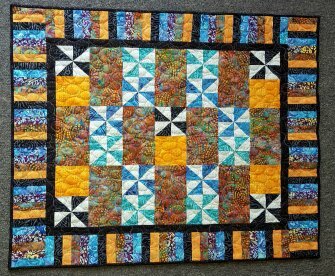 Although we have our winner, it's not too late to turn your finished quilt into another participating shop who doesn't have a winner yet. 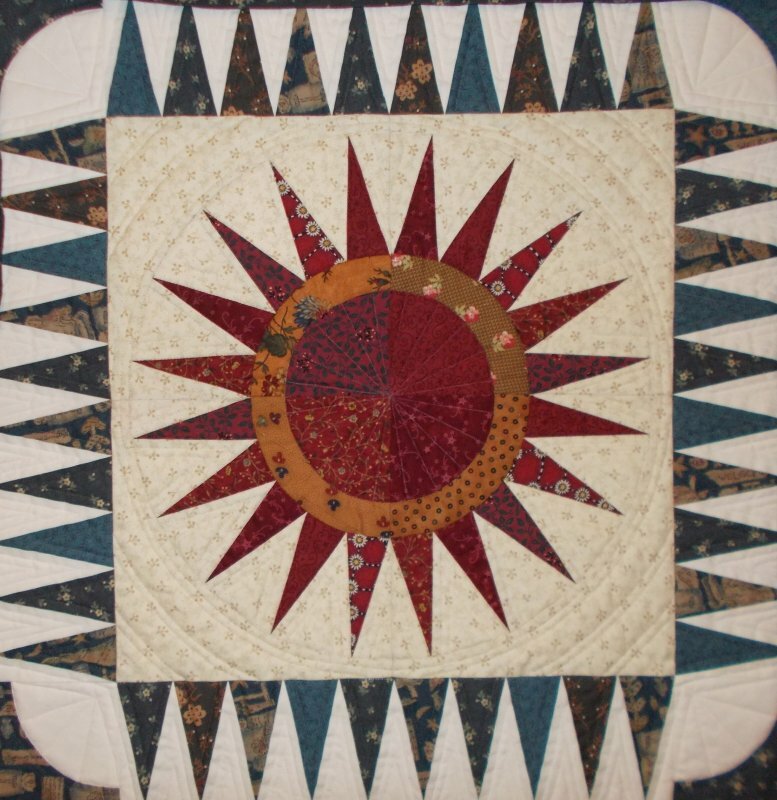 The last day to turn in finished quilts is October 31, 2015.
but we are unable to ship them until November 1st. Bingo is held from 7:00 p.m. to 10:00 p.m. Pick-up for September's Project is Saturday, September 12th. This is the last project for this year! "A Year of Love...A Year of Fun Club x2"
The holidays are quickly approaching. left in stock, so please give us a call, stop by or send us an email. Cost of the CD with tax is $10.60, however if you need it shipped, there will be additional $2.00 added for shipping and handling. All purchases must be paid for in advance Please allow 3-4 weeks for shipping. This is a 6 - two hour session class. 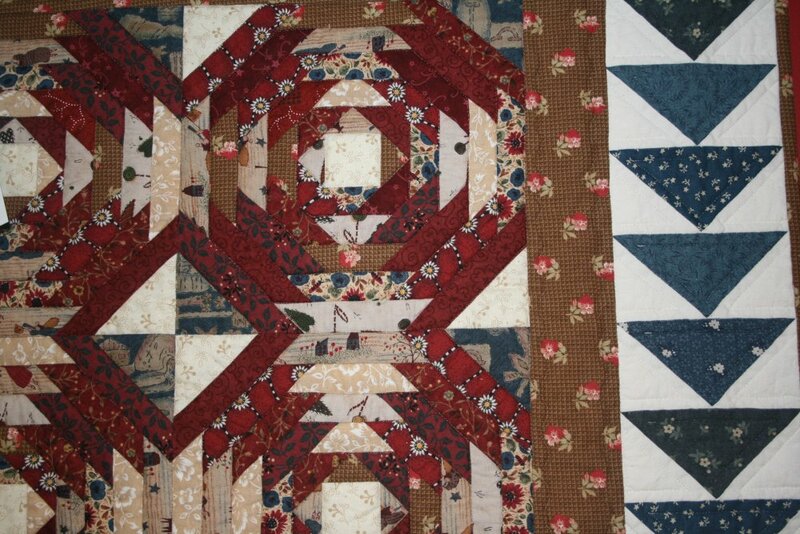 Show and tell of finished quilts is on Thursday, November 5th at 6 p.m.
Have you wanted to learn to hand quilt? This is the class for you. 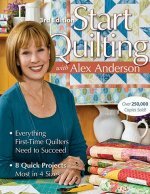 Cheryl will walk you through the basics of hand quilting,from marking your quilts, to getting those perfect stitches! 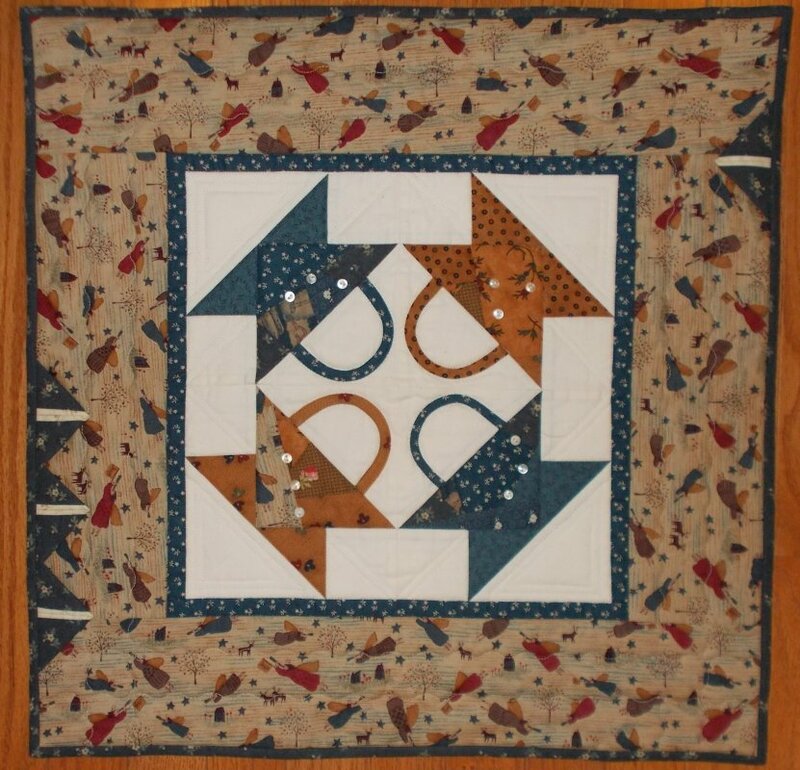 Learn the simple way to make the Hunter's Star block, using no "Y" seams or diamonds. 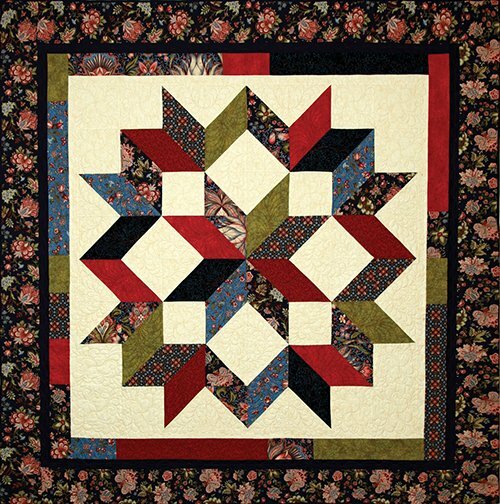 This block uses high contrasting fabrics, either in color or lights and darks and can be made using 2 fabrics, 8 fabrics, or scrappy. 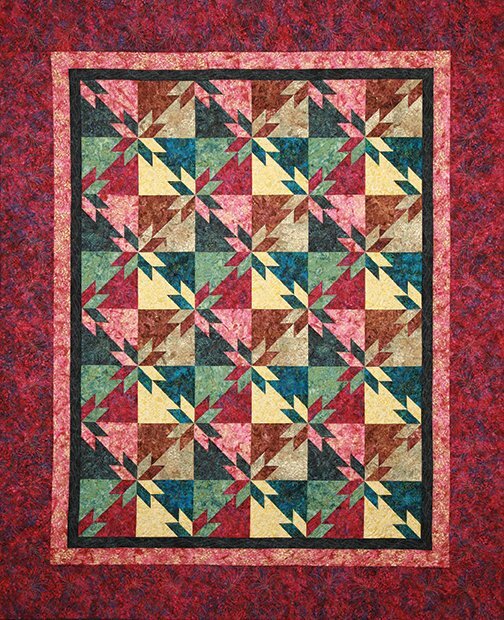 You can make this quilt in 7 different sizes. 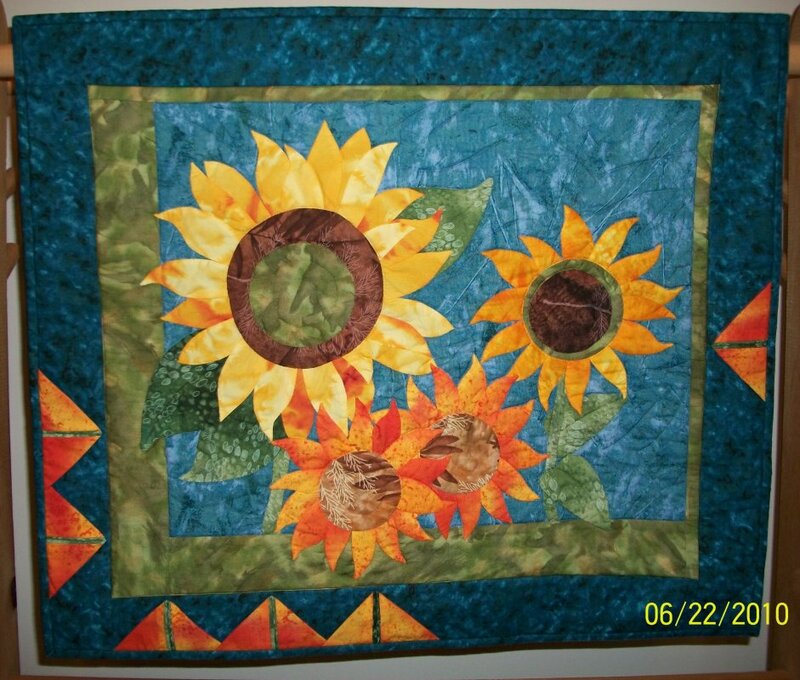 Discover how to make a t-shirt quilt with your t-shirt memories. Snowman Fun Kits are required for class. 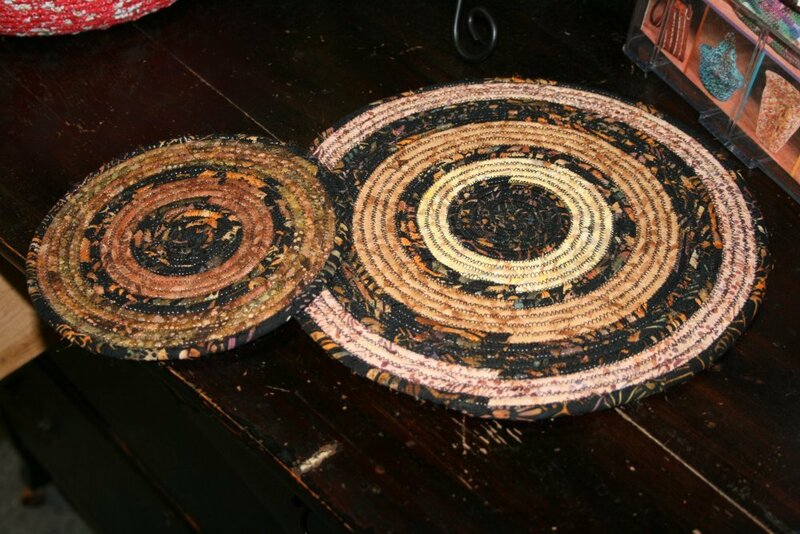 Use clothesline and fabrics to create your own unique design of coasters, trivets and place mats to make any table look extraordinary. 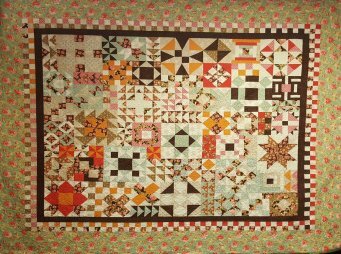 A little bit of handwork and a little bit of machine work come together to create this three-dimensional quilt. 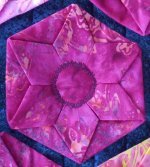 The hexagons are stuffed with batting and folded into stars then machine appliqued down on to a pre-quilted background. from 9:00 a.m. to 12:00 p.m. Kits available and strips will be precut. 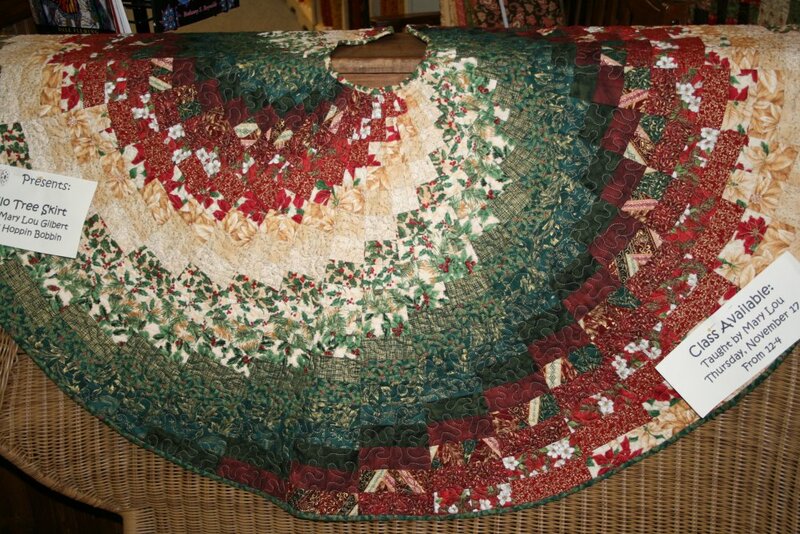 Kit will make TWO tree skirts. There is Homework required before you attend class. 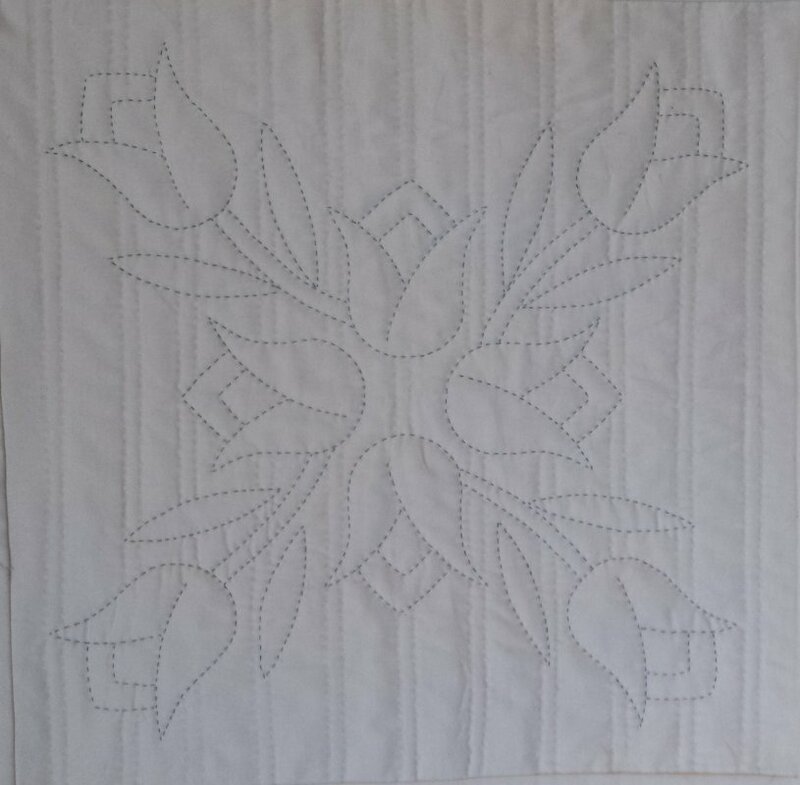 This traditional quilt pattern is perfect for putting together a beautiful look. 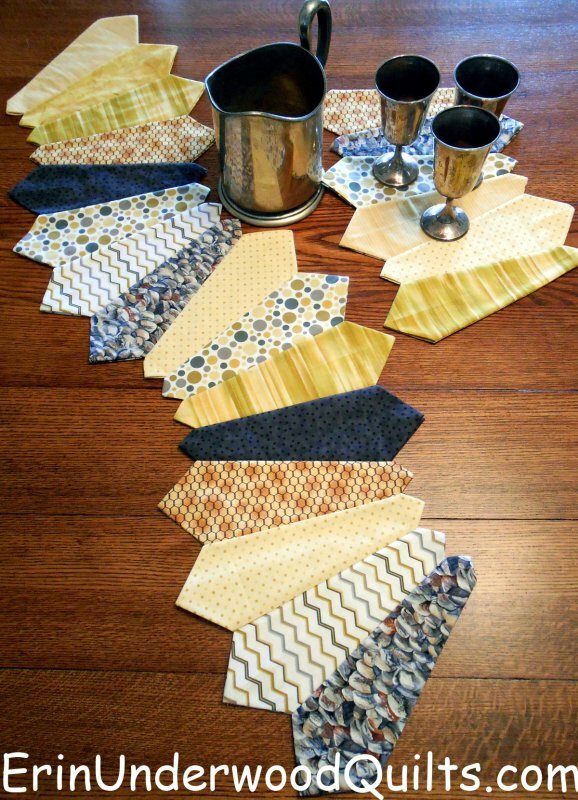 We know you are going to love how easy it is to put together and cut these beautiful quilt triangles. 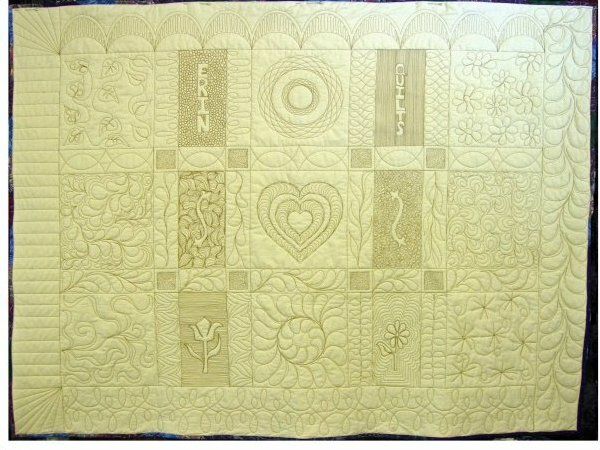 This class is a GREAT class for advanced beginners. 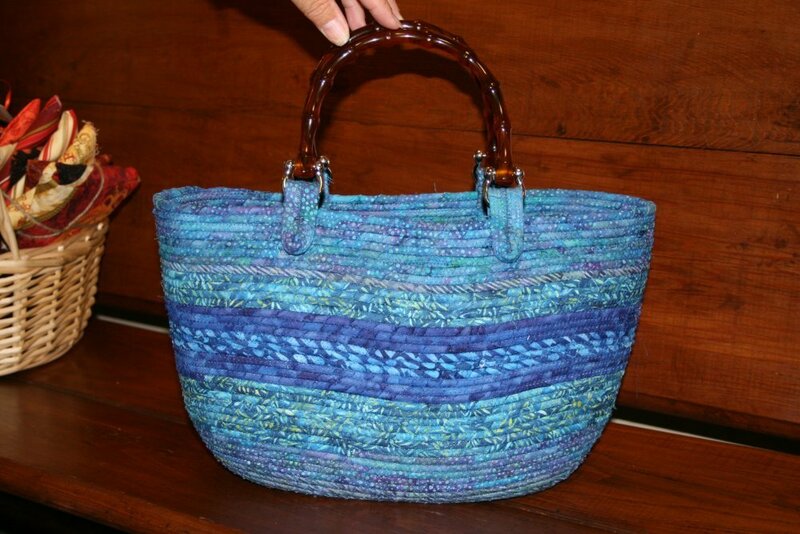 from 9:00 a.m. to 3:00 p.m.
Clothesline and Scrap fabric strips are used to make this great handbag that everyone will love. 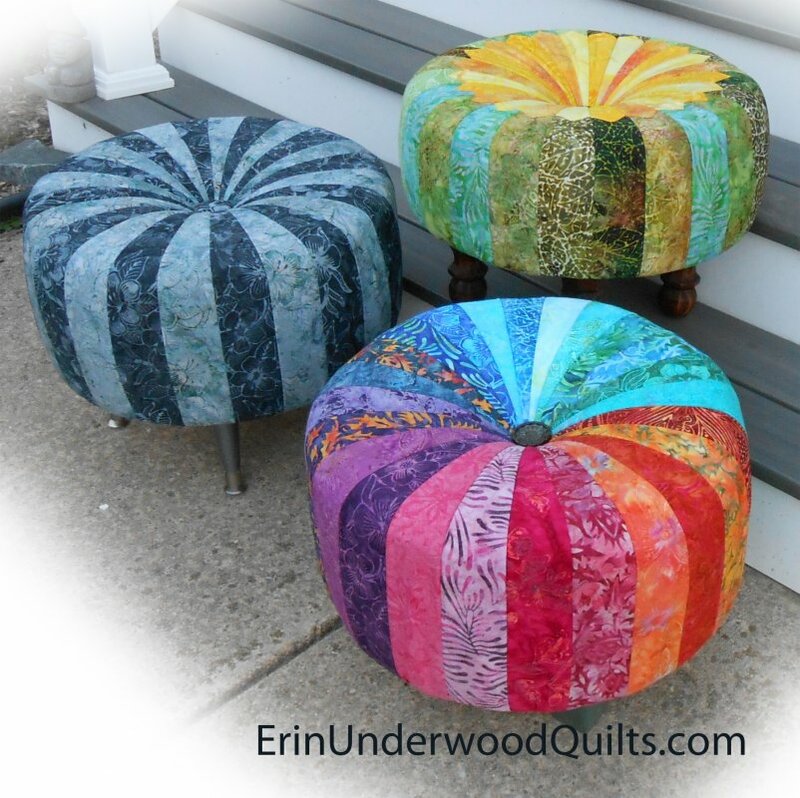 And it is fun and easy to create! Kit is included in class fee and contains 1 package of clothesline, fabric strips and one set of handles for bag. 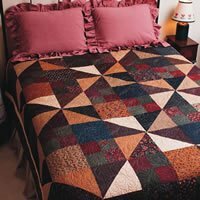 Traditional Carpenters Star Quilt, using No diamonds and No "Y" seams. 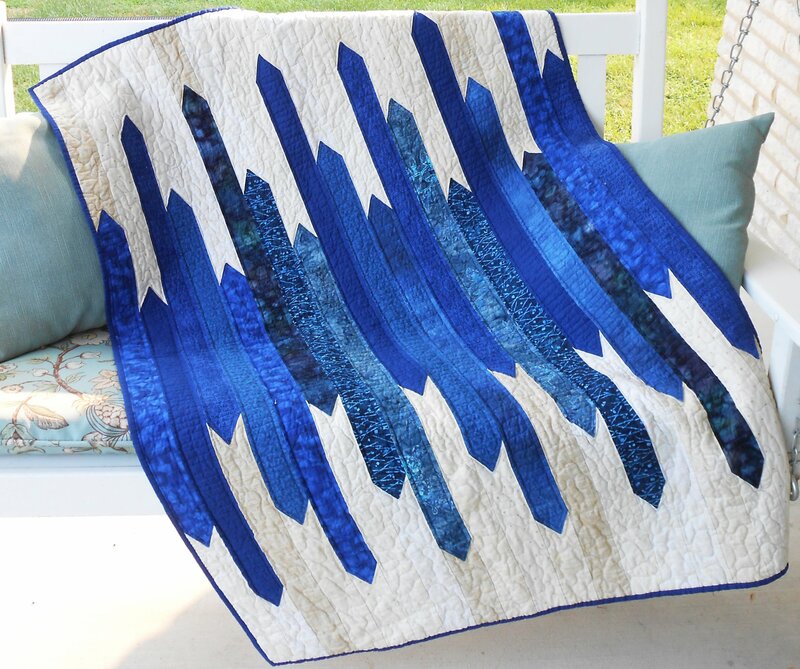 Create spikey strips the Dresden way then sew your quilt together in strips! Fast and easy for a dramatic outcome! 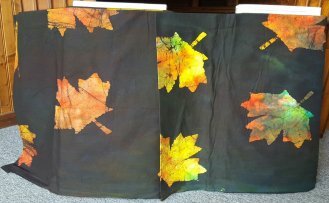 * Interested in teaching a technique or unique class?